Just a nice bit of mirror imagery I noticed recently. 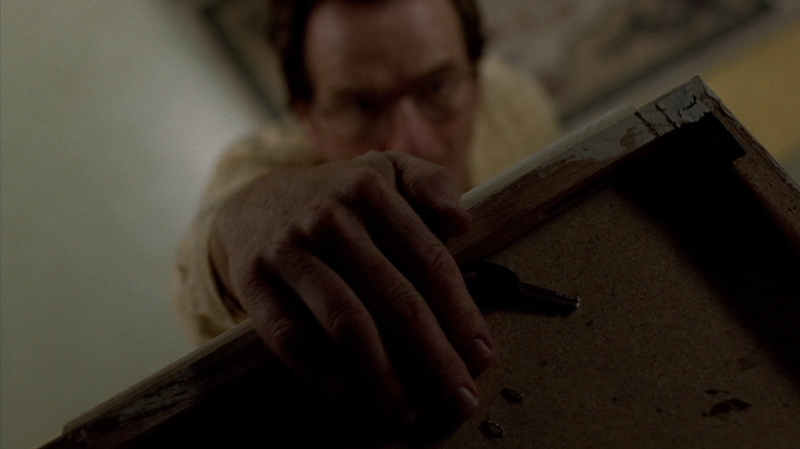 Walt feeling around for the key that will set Krazy-8 free. He ends up killing him. 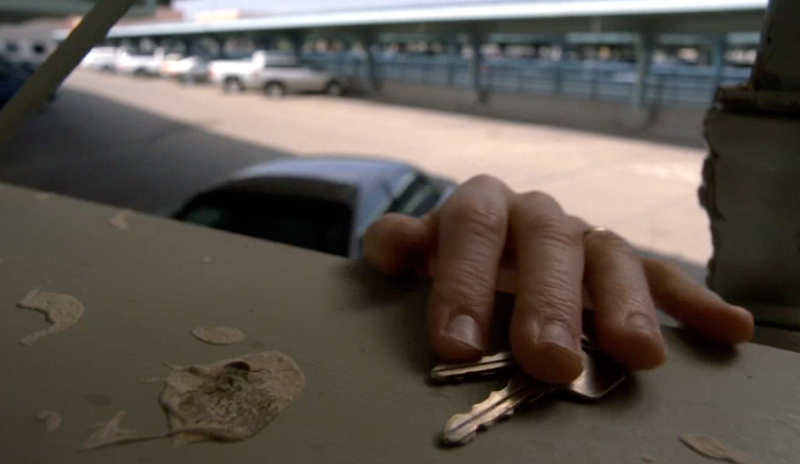 Walt feeling around for the key that will set Mike Ehrmantraut free. He ends up killing him. Great catch! I can’t get over how much there is to be found in this show.